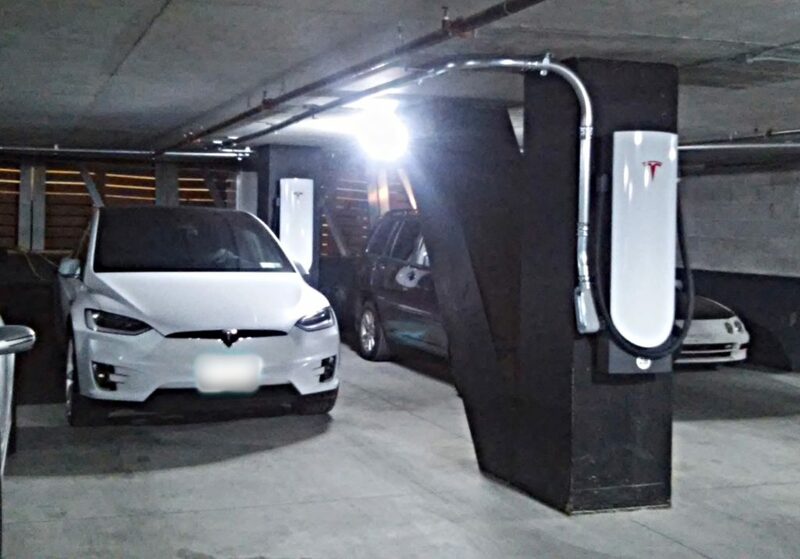 When Tesla first announced that it would be expanding its Supercharger network into high density, metropolitan areas with ‘Urban Superchargers’, press images showed a slimmer and overall more compact installation that was ground-mounted but did not include the traditional Supercharger support base. Teslarati was able to get a close-up look at Tesla’s newest Urban Supercharger in Chicago, capturing details of the charger’s increased cable length and overall profile, while also discovering a few surprises related to its charging speed. 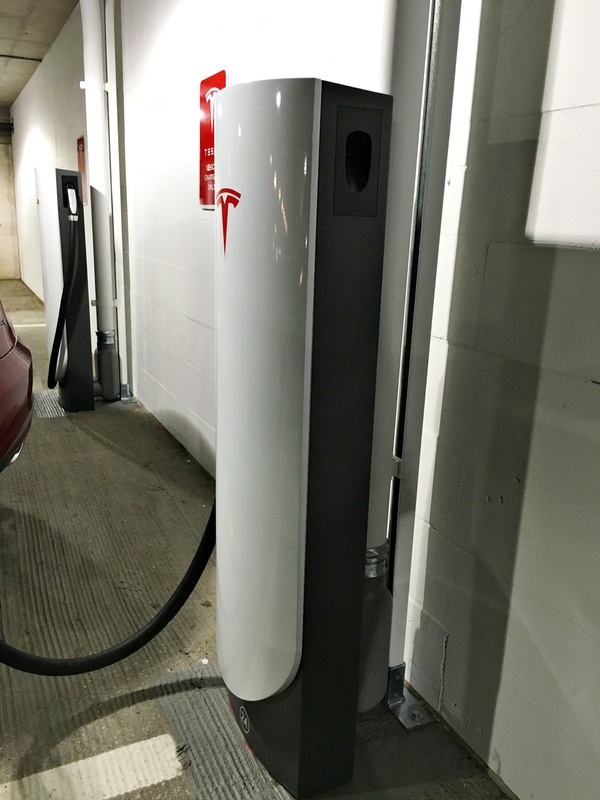 As noted in our review of Tesla’s Urban Supercharger, the slim design is perfect for underground parking garages and parkades where space more often than not demands a high premium and limited in quantity. 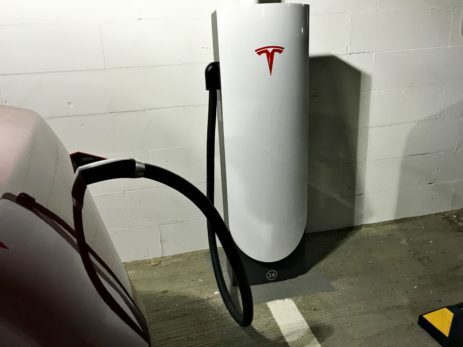 The new dimensions are significantly smaller than Tesla’s traditional Supercharger, especially at the base. 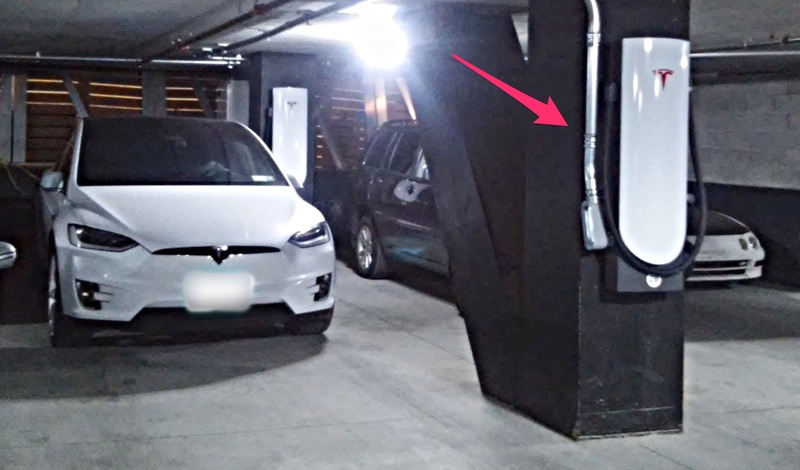 However, a new set of photos coming by way of Tesla owners in Brooklyn, NY reveal that the space-saving design and lighter weight enables it to be installed in virtually any environment – even wall-mounted. The following photos were captured at a valet-only parking garage in Brooklyn, NY located at 113 N. 12th Street. 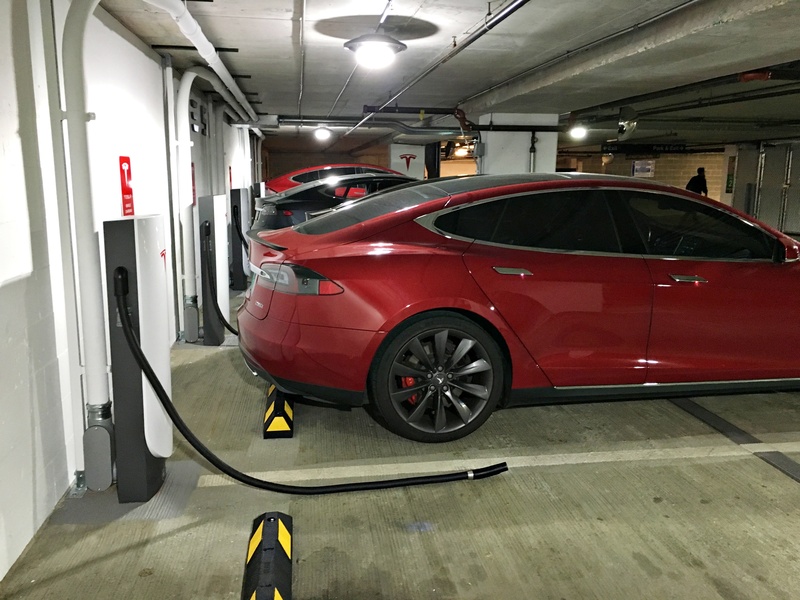 The Urban Supercharger’s slim profile and narrow design allows it to be also pillar-mounted. 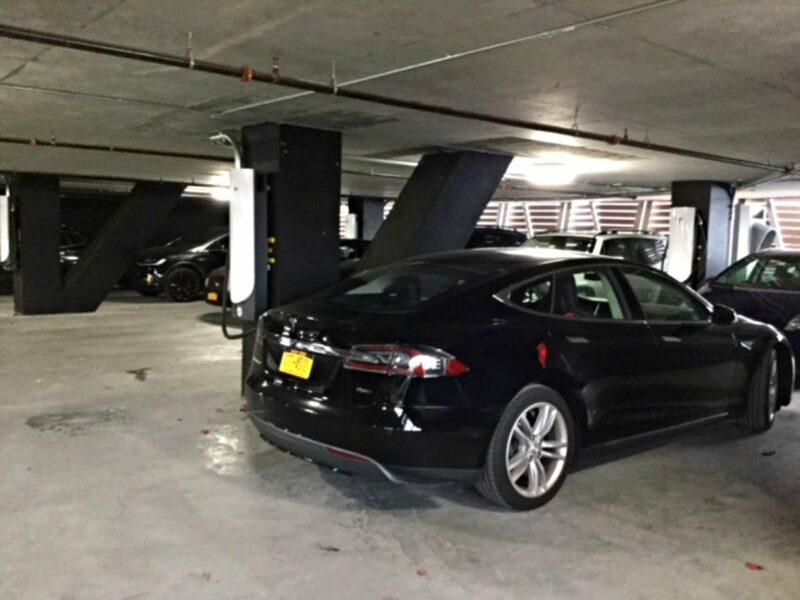 In multi-level parking structures often found in cities, the ability to install a Supercharger without requiring a wall or even floor space is a key advantage that will allow Tesla to massively scale its charging network across a variety of environments. Tesla has pledged to install 1,000 Superchargers in China by the end of 2017 and continues to facilitate coast-to-coast and cross-country all-electric travel through global expansion of its Supercharger network.